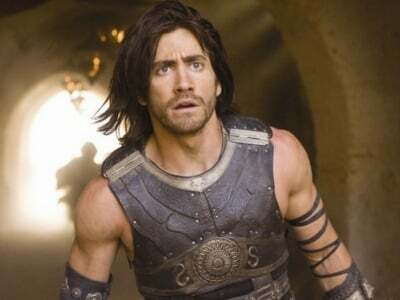 So obviously Disney needs to keep promoting their Prince of Persia movie until it comes out on May 28, but after several trailers and even a behind-the-scenes featurette, I really feel like I have the idea on what this movie is all about. I mean, it's based on a video game, and it's about a guy who can turn back time. And Jake Gyllenhaal's abs, let's not forget that. But in case you need a little more Prince of Persia in your life, Fantasy.fr (via Coming Soon) has posted two new images, both featuring Jake and both looking like they come from scenes we've already seen in the trailer. Maybe there's something new to reveal about the movie, and we'll start seeing that closer to the movie's release date. But at this point it's all looking pretty much the same.